How to use Kodi: a look at the top hacks you need to know. The online streaming craze is increasing day by day- and if you want the best possible experience, we are here to help you. Thousands are now using Kodi for online content streaming - whether live TV or movies. 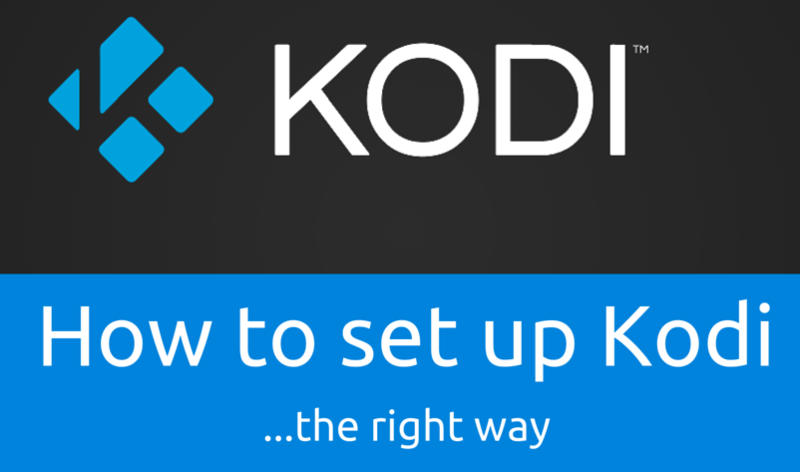 Here are few things you need to know about kodi TV streaming. * Kodi was originally created for the Microsoft Xbox and Xbox Media Center (XBMC). * But later the software has continued to evolve to create its own community. * Unlike services like Chrome or Plex, Kodi is managed by the charitable foundation XBMC. * And is constantly changing and updated worldwide by hundreds of coders. Kodi basically converts any computer, smartphone or tablet into a digital decoder set-top-box or online video streamer, which gives users the ability to stream content from the Internet. And the only thing not good is that the installation and Kodi setup is not easier. kodi streaming app is available in Google Play Store from where you can download the kodi app and install on your phone or tablet. Keep in mind that you can download kodi from the Google Play Store app on your Android device, or on your desktop. Just click "Install" and sit down, relax and wait for the end. Once the download is complete, use Kodi as usual. When you download Kodi on Amazon fire TV stick you will find lots of extra content as well as the ability to run interesting best kodi add-ons - and it just takes a few minutes to set up. To start the process, the user must first go to Settings> System> Developer Options. You must ensure that "applications from unknown sources" are enabled. This allows you to run applications outside the Amazon App ecosystem, including Kodi. You will need a file management program or a way to manipulate files on the fire TV stick. ES File Explorer is the most popular. Also, a good way to manage local files, ES File Explorer also allows you to download third-party content. Scroll left to the program "Add", and you will be presented with a box fill. In the "Path" text field, you must enter the below web address to download Kodi app on Amazon fire stick: http://kodi.tv/download. Then add the link to your favourite. You need to click the link ARM once - it's a little hard to find, but use the cursor, and you'll find that with a little patience. Once you have clicked the ARM link nothing will happen - but do not worry, this is quite normal. Simply navigate to the three points in the lower right corner on them and select "Open in a new browser." This may take some time. Once downloaded Kodi, Open File> Install. A dialog box appears asking you to ask permission to install. Next, accept and select install. Now you can stream movies, movies and TV shows to the fire tv kodi. After installing Kodi, simply connect your fire stick to the HDMI input of your Xbox One. The TV option on Xbox One should now bring the fire stick interface and you can navigate for use Kodi application. To do this, click Settings> Applications> Manage installed applications > Kodi. Once you are on the home screen Kodi, use it as usual. With Kodi, you can download a number of community applications, and see what you want. Most add-ons listed below are available directly in the Kodi add-on repository. You can download them from the link. And once there, you will also find guides on how to install them. Plex allows you to read your content library from your home PC. In short, Plex acts as a media server that summarises your videos, music, and photos in an easy-to-use interface. It also provides additional information such as the details of the cast and crew, the release date, and reviews. Basically, Plex turns your PC files into an attractive and easy to use just like Netflix services. If you love music streaming, then you should download Soundcloud add-on to kodi. The popular service features a variety of musicians, most notable pioneers, and emerging artists from around the world. The application is free with ads, or you can pay £9.99 per month without listening ads. Besides the music, you can also hear podcasts on Soundcloud. Kodi gives you many popular add-ons - but these are not as popular as iPlayer. BBC iPlayer provides access to television and BBC radio broadcasts, usually only a few hours after they are aired. The application is free to download, but you must have a TV license. Filmon TV gives you access to a wide range of different channels in the UK. The add-on also includes a series of films, shows, and sports events. In the premium version, you get even more options. But the standard add-on is incredibly popular too with plenty to see - including live transmissions. The other great streaming application that should download and use with Kodi is YouTube. Browse the most popular video sharing site on Earth with total ease. Get ready to watch what you want: the official Premier League and WWE channels to your favourite BBC, ITV or Channel 4 clips. The doubts about the legality of the Kodi are essentially reduced by piracy. So if an add-on gives you access to movies that are not already on DVD, you can avoid it. It's the same for television, of course. If you have an add-on that allows you to see HBO programs, Sky Originals or Netflix exclusive without having to subscribe to their service, it is more likely to be illegal. Sometimes these set top boxes are simply called "Kodi boxes", these devices differ in the quality. But one thing they have in common is that they are extremely affordable - and require little configuration. Q-Box Preyda uses the Android 5.1 operating system that gives you access to a variety of applications. It even comes with preinstalled Kodi, although you may have to update to the latest version to make use of all its new streaming features. With this TV box, you can get YouTube, iPlayer, 4OD, Skype, Google and an almost endless list can be easily accessed on the TV. With 2GB of RAM and 16GB of internal memory, Preyda Q-Box is the first to change the game for high-performance Android TV boxes to your HDTV. The MX3 progress also comes with Kodi preinstalled and also with many popular add-ons. There is 16 GB of internal memory with an SD card slot so you can store your personal media, and there are also two USB ports on the back. Priced at only £35, it's a powerful quad-core Android TV box running on Android Marshmallow and preinstalled Kodi setup. You can access millions of applications and channels. Users can enjoy the new chipset of Amlogic S905X, CPU, 64GB 2.0 GHz x4 and DDR3 1GB memory and SSD memory of 8 GB with this Android TV box. The device supports 4K Ultra HD, 3D movie playback DLNA / UPnP- or can play media from storage media such as memory card, USB drive. Built-in Kodi (XBMC), full full-HD support hardware acceleration, supports free streaming via the Internet. Full warranty of one year in the UK and free kodi streaming add-ons via their site.